Sounding good in almost any genre of music, the guitar is capable of expressing a broad range of human emotion. It can be angry or celestial, confident or jittery, screaming or mellow. 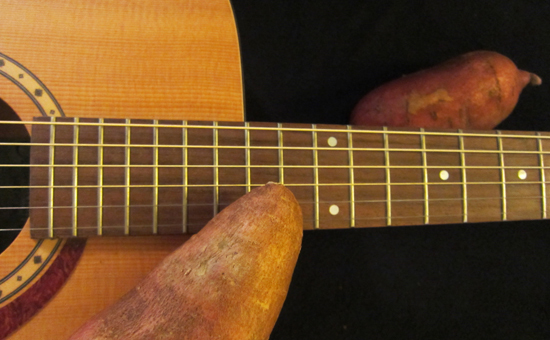 Strummed or picked, plugged or unplugged, the guitar has become the dominant world instrument. Here’s a selection of primarily instrumental guitar albums that will have you reaching for a 6 string…or a 12 string…or maybe a 15 string harp guitar. Or just soak in the sounds. Being guitarist for the Police has helped give Summers the luxury of releasing a continuing series of albums exploring a variety of world musics and jazz, both solo and with other guitarists such as Robert Fripp. 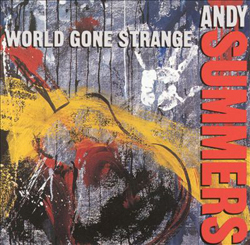 World Gone Strange is lush and cinematically evocative, with that trademark Summers guitar tone. Fairly obscure, but legendary to those in the know, this British singer-songwriter/guitarist has been recording since the 60’s. 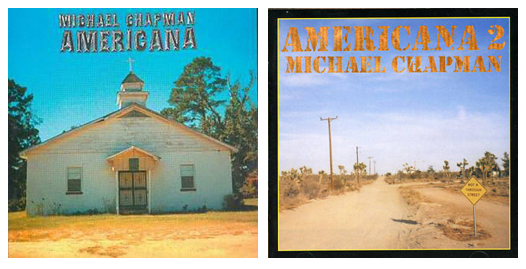 This pair of instrumental albums go together and were inspired by trips through the American Southeast and Southwest. Blues, folk, country – there’s a bit of all that stuff here. Lonely desert landscapes, humid swamps, tall trees, and backwater byways too. Master of “Zen Buddhist cowboy music”, Basho delved into the unknown when it came to the guitar. He was all about connections, whether it be combining Indian ragas and Irish jigs, or linking colors with sounds with his “Esoteric Doctrine of Color and Mood for 12 and 6 String Guitar.” Deeply spiritual, but with a playful side as well, it all came through in his playing. This is a good intro album to the rich sound journeys of a truly unique player. 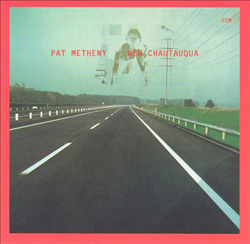 This was Metheny’s first entirely solo recording, incorporating 6 and 12 string guitar, bass, and 15 string harp guitar. 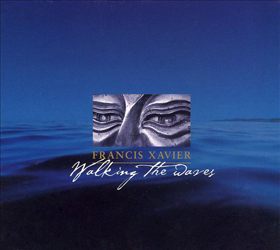 It’s a very atmospheric, rural collection of songs, dreamlike at times. He’s called it one of his most personal albums, largely about where he grew up. Those who know Metheny’s music know that to call him a jazz guitarist only scratches the surface – there’s a heavy dose of folk, country and new age in this release as well as jazz. This was an under-the-radar release by Cactus World News guitarist Frank Kearns. A panoramic evocation of the South Seas- sky and ocean, islands and time. Crisp blue guitar. Ambient with an edge. Mostly (but not entirely) instrumental, this live album was originally released only in Japan. It features the classic early 70’s adventuresome lineup responsible for Caravanserai. 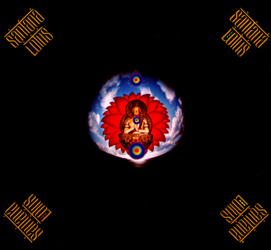 Carlos Santana at his cosmic and experimental peak – fusing jazz and rock and Latin and Martian sounds. Searing and soaring. Intense. Melodic and warm, akin to some of Bruce Cockburn’s 70’s acoustic instrumentals. This is a mature, reflective collection of tracks with some Appalachian and British Isles folk influences, but in no way a staid “trad-folk” release. Fireside guitar. Ex-Genesis guitarist’s first classical guitar album, picking up where Genesis tracks like “Horizons” left off (in fact, there’s a version of that track here). Themes and textures tend to evocations of travel and the exotic. At times regal and mysterious, at other times relaxed and comfortable. Joined on a number of tracks by his flautist brother John, a familial and musical bond resulting in some sublime playing. Another not entirely instrumental album, but less than half the tracks feature vocals, so we’ll sneak it in to the list. Like his previous album, Tones, this a real tour-de-force, covering a variety of styles. 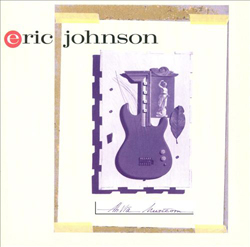 Like Andy Summers, Johnson has a beautiful and singular electric guitar tone. 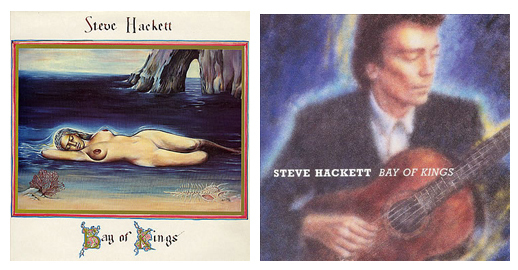 Primarily a rock album, but he’s such a versatile and skilled player that you can’t really label him under one style. A master of melody, as well. 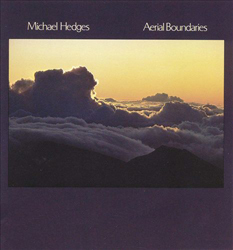 Hedges didn’t invent the “tapping” technique, but he certainly took it to a whole other level and was one of the first to apply it so extensively to acoustic guitar. Recording for the mostly new age Windham Hill, his playing could be tranquil like other musicians on the label, but also frenetic and fiery. 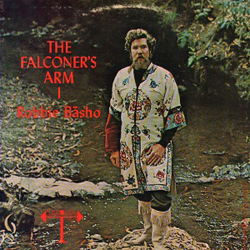 He was fond of covering pop and rock songs and putting his unique spin on them, too (“After the Goldrush” on this album). Hedges called his music, not heavy metal, but “heavy wood”- or sometimes “heavy mental”. A band that’s really the creative project of guitarist Vini Rielly (one of their albums was even titled Vini Reilly). 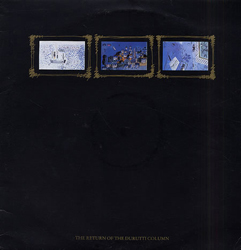 Return of …came out of the post-punk scene, but doesn’t have much obviously in common with others of that genre, besides maybe a trace of the attitude and angularity of bands like Television. The album is mostly solo, sparse electric guitar and doesn’t really sound like anything else. There’s some jazz here and there, some rock of course, but in the end, fairly unquantifiable. Visionary, unassuming and often quite beautiful. It should also be noted that the original vinyl release had a sandpaper outer sleeve so it would damage anything else it was next to in ones’ record collection (I’ve since read that Reilly was horrified when he found out the record company packaged it that way).